96 Jeep Grand Cherokee 4.0 4x4. 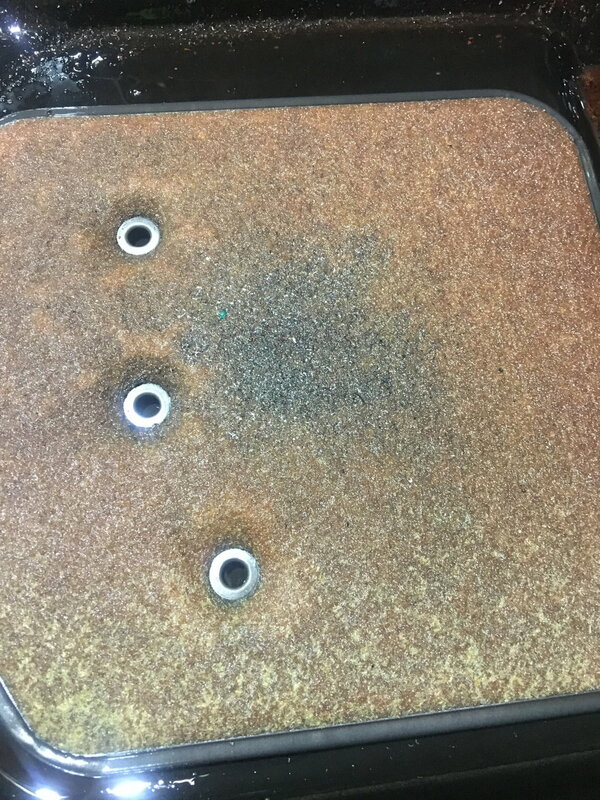 It was shifting very poorly, jerking and hesitating etc, pulled the pan and found the shavings you’ll see in the pictures. My plan is to buy a rebuild kit, new torque converter and service manual for the 42re, it is my understanding that’s the transmission I have. My questions are, does anyone know where I could send the valve body to and have it rebuilt? Also, with the amount of metal seen here.. should I be concerned with having to source hard parts or anything that a rebuild kit would not come with? 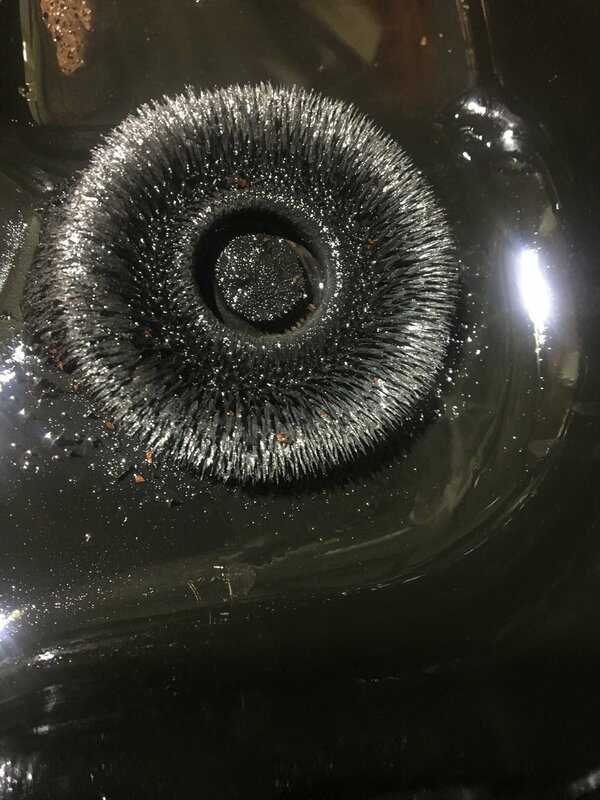 You might get 100,000 miles more out of that trans or 1 mile , but, shavings like that on the trans pan magnet are not uncommon . It might be worth your time to swap filter and fluid and drive it . But if it was slipping bad or missing gears etc I’d condemn it as well. well I bought it with a busted t-case, and was told it happened while doing about 50 or 60 mph. To be specific about how it was acting.. when I’d go from park to drive or reverse it would go into the gear veeery aggressively, not quick I’d just have to keep on the break hard or it would start rolling. trying to drive it was bad..it would change gears back to back and hard. Sometimes it wouldn’t go into overdrive and as I shift into park it it sounds and feels like a spinning part is hitting against something..almost like a slight grind as it’s going into park. Definitely could not drive it fast or far..so I’ve already gotten it out and the overdrive off of it. Clean that thing up change the fluid and filter, adjust the bands, then do it twice more in 6 month intervals. That thing will go another 100k. Will never shift like a Cadillac, but it's a jeep. alright, thanks for the feedback. Why kind of fluid do you run in yours? AW+4 . These are real fussy you must run exactly what they call for. well my dipstick says dexron 2 but I did read about a Chrysler service bulletin that said they changed it to atf+4..but I’ve also read that is not correct and you should still use the dexron. ATF +4 is what I meant. Not sure but I don't think they ever used dextron, I do know if it's NOt supposed to have it do not take the chance. Metal shavings on front diff plug - normal or no?